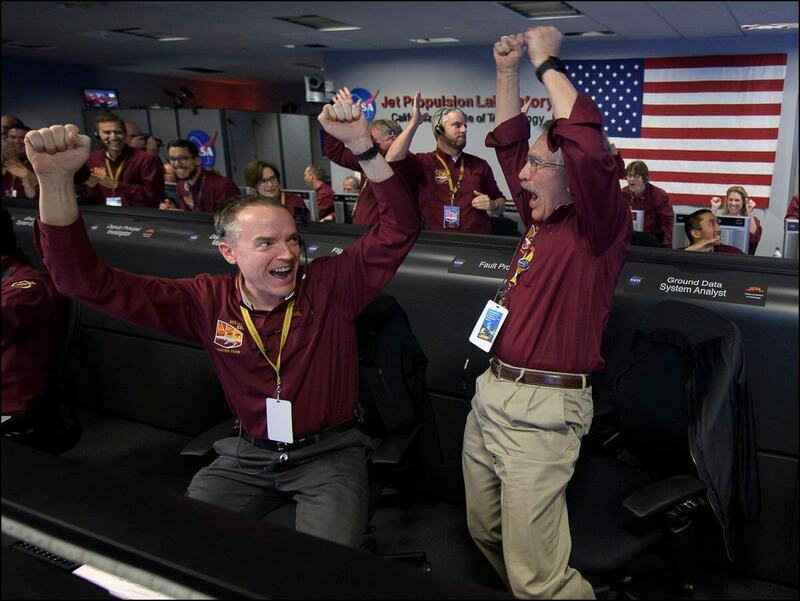 NASA's InSight mission has finally landed on Mars after seven months of traveling 301,223,981 miles through space. InSight, or Interior Exploration using Seismic Investigations, will explore the deep interior of Mars. It will spend two years researching the interior of Mars in an effort to discover how Mars was formed. The landing will give NASA and the rest of the world the opportunity to explore the interior of the planet and teach the world more about the solar system. The landing itself was remarkable. NASA engineers called it "seven minutes of terror," where InSight slowed from 12,300 mph to 5 mph to slowly land on the surface of Mars. "We hit the Martian atmosphere at 12,300 mph, and the whole sequence to touching down on the surface took only 6½ minutes," Tom Hoffman, InSight's project manager, said. "During that short span of time, InSight had to autonomously perform dozens of operations and do them flawlessly -- and by all indications, that is exactly what our spacecraft did." While the full two-year mission will not start immediately, the robot will unfold its arm and start researching and photographing right away. "Landing was thrilling, but I'm looking forward to the drilling," Bruce Banerdt, InSight's principal investigator, said. "When the first images come down, our engineering and science teams will hit the ground running, beginning to plan where to deploy our science instruments. Within two or three months, the arm will deploy the mission's main science instruments, the Seismic Experiment for Interior Structure (SEIS) and Heat Flow and Physical Properties Package (HP3) instruments." While we are so excited about the success of the landing that recently took place, the best has yet to come for InSight on Mars. One small step for man, one giant leap for robot(? )kind.